In order to nab as many high quality photos of Charles Neilson Reilly as we could muster, we went to the source… CNR’s home in Beverly Hills! Reilly’s partner, Patrick Hughes, invited us to their home and provided us with pictures, videos and stories behind the man of so much myth. We brought back loads of amazing references for the animation, so we’re super grateful to Patrick for their support. 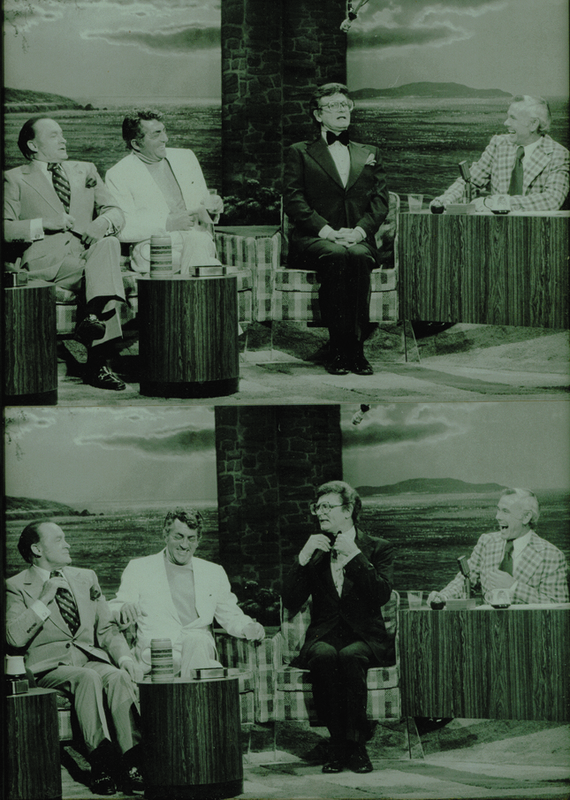 Check out some of the photos we were lucky enough to get, these being from an appearance on Johnny Carson! This entry was written by paulhanges and posted on August 10, 2009 at 6:04 pm and filed under Inside JibJab. Bookmark the permalink. Follow any comments here with the RSS feed for this post. Trackbacks are closed, but you can post a comment.